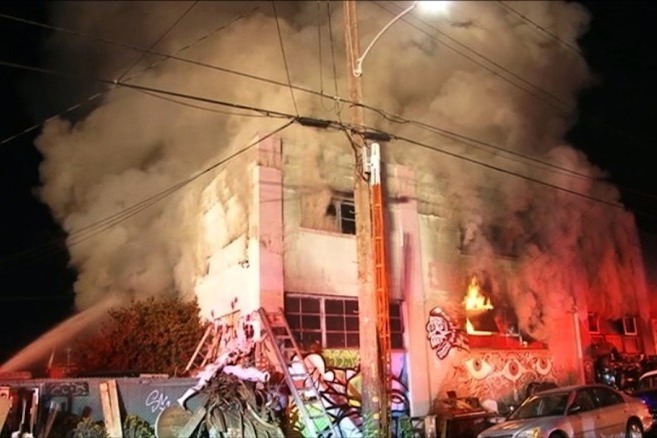 Assistance and relief to the victims and families of the Oakland warehouse fire the night of Friday, December 2. 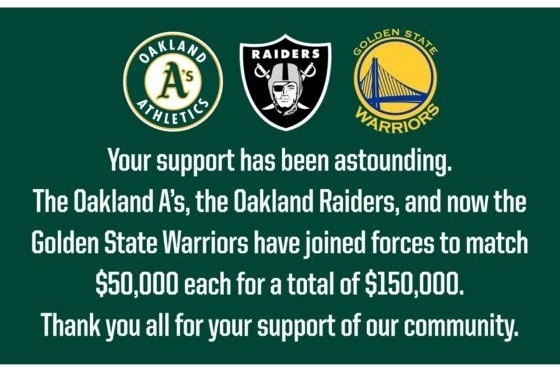 The Oakland A's, the Oakland Raiders, and the Golden State Warriors will each match up to $50,000 that fans donate for a total of $150,000. Our friends at Sutter Health pledged $75,000 in support.